DETROIT - As peak flu season appraches, Children's Hospital of Michigan is prepared to get patients in, tested, treated, and out of the emergency department faster than ever. Available immediately at Children's Hospital of Michigan's emergency department at its Detroit location and coming soon to the Troy location is a new rapid test that will provide a quick and efficient diagnosis for patients. In as little as 20-30 minutes, patients will know what type of influenza strain they've contracted and can receive proper treatment. 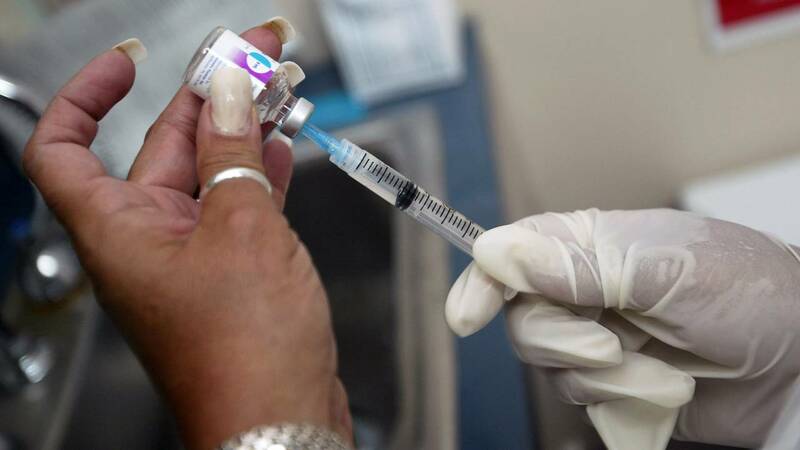 "Physicians are seeing the flu season get longer each year and ultimately, it's an extremely unpredictable illness," said Dr. Rudy Valentini, Chief Medical Officer at Children's Hospital of Michigan. "Patients experiencing flu symptoms should seek care from a physician as soon as possible. Thanks to this new rapid test, Children's Hospital of Michigan is excited to offer greatly reduced diagnosis time and more accurate results." Point-of-care testing using Xpert Xpress Flu will significantly reduce turnaround times for lab results and subsequently create a much shorter visit for Children's Hospital of Michigan's emergency department patients. Approved by the Food and Drug Administration in June, the test utilizes automated real-time polymerase chain reaction (PCR) to detect influenza A, influenza B, and human respiratory virus. "The Xpert Xpress flu is not available anywhere else in Southeast Michigan right now," said Dr. Curt Stankovic, Medical Director of the Division of Pediatric Emergency Medicine at the Children's Hospital of Michigan. "If you're feeling flu-like symptoms, come to a Children's Hospital of Michigan location and we'll get you in and out quickly with the care you need." According to the Centers for Disease Control, flu season in the United States usually occurs during the fall and winter seasons and peaks in the month of February. The CDC recently released figures showing between six and seven million people have been sick with the flu this season with approximately 69,000-84,000 people being hospitalized. For over 130 years, the Children's Hospital of Michigan has been dedicated to providing high quality care to children and adolescents in a caring, efficient and family-centered environment. With more than 40 pediatric medical and surgical specialty services, the hospital draws patients from nearly every Michigan County, 39 additional states, and 22 countries, annually and provides the highest level of pediatric specialty care available for children. It is ranked as one of America's best hospitals for children and sees more children than any hospital in the state.